The focus of this article is on the powers available to HM Revenue & Customs (HMRC) to impose penalties on personal representatives (PRs) and others in respect of non-disclosure/inaccurate information regarding estate assets and lifetime gifts. It reminds us of the obligations and responsibilities to provide correct and accurate information to HMRC. Following the merger of Revenue & Customs, a huge project of alignment of powers for HMRC Officers brought up to date and merged the different schemes and arrangements for different taxes. After consultation in each area, new penalties and inspection powers were introduced by the Finance Acts 2007, 2008 and 2009, with the hope that HMRC would be able to change taxpayer and agent compliance behaviour. The new penalty regime applies to all chargeable events for inheritance tax (IHT) that occur on or after 1 April 2009. On this basis, a liable person(s) may be subject to a penalty if reasonable care is not exercised in preparing their IHT Account or “excepted estate” return. If there is an inaccuracy and it was careless, a penalty will be imposed and the amount will be based on a sliding scale depending on how severe the inaccuracy was and how co-operative the taxpayer has been. The 2015 case of Hutchings v HMRC illustrates how HMRC can exercise their powers. In that case, a penalty was imposed on a third party who had provided inaccurate information, rather than against the PRs and their advisers who had submitted that information to HMRC. The facts were that the testator during his lifetime had a Swiss Bank account undisclosed to HMRC and in March 2009 had transferred the funds totalling £443,000 to his son. The son did not disclose these funds to HMRC either. In October 2009 the testator died and the solicitor acting for the estate enquired with the family whether any lifetime gifts had been made. One daughter had replied that she was not aware of any, but the son did not reply. There was an anonymous tip-off to HMRC that the testator had held an offshore account and it was traced to the son. The PRs claimed that they had made the fullest enquires of the family and had been misled about this gift. As the gift was made within seven years before the death of the testator, the gift was chargeable to IHT. The tax and interest payable by the son was £46,000. In addition, the gift used up the nil-rate band, so the estate had to pay more IHT. The overall result was “potential lost revenue” amounting to £175,000. HMRC imposed a penalty of £113,000 on the son (65% of the additional tax), but this was subsequently reduced to £87,000. The son appealed against the penalty, claiming that the PRs had not been clear on what information they needed on gifts. HMRC stated that the failure was solely attributable to the son, who had deliberately withheld the information. The First-Tier Tax Tribunal decided in favour of HMRC and stated that the PRs were not at fault for the inaccuracy of the IHT Account. This case has certainly brought into focus for PRs and their advisers the importance of making enquiries into lifetime gifts made in the seven years before death. HMRC are proactively using these new powers. It is therefore imperative that the right enquires are made, to avoid penalties being imposed against PRs, their advisers and donees of gifts if after an enquiry it is discovered that inaccurate information has been given. It is dangerous for PRs to make assumptions that no lifetime gifts have been made by the deceased, as the obligations and responsibilities to make enquires are much more stringent. It is worth recommending to clients that they should keep a log of gifts made, to include the name of the donee, when the gift was made, how much it was for and whether it was made out of income or capital. It is not uncommon to deal with estates where no-one was close to the deceased’s financial affairs and it is all too easy for PRs to overlook lifetime gifts. The task of investigating the deceased’s finances and previous assets owned and looking through bank statements can in some cases be quite onerous. It is advisable for PRs to check at least three years’ worth of bank statements, which should be a good indication of gifting history of the deceased. However, in some cases it is advisable to review statements for the full seven years. Associates of the deceased, family, lifetime advisers and attorneys should all be asked and in appropriate cases statements/ declarations obtained. PRs should check whether the deceased had paid for anything on behalf of someone else e.g. holidays, bills or loans, gifted assets which are held in joint names at the date of death. In conclusion, the burden on PRs has certainly increased and the sanction of penalties for non-disclosure is high. We are well acquainted with the obligations to meet HMRC requirements and if you would like further advice on this topic, please contact Helen Stewart at helen.stewart@ts-p.co.uk. 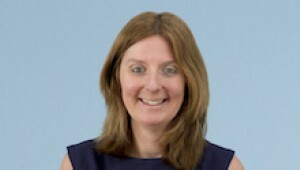 Helen is a Partner and Head of our Probate Team.